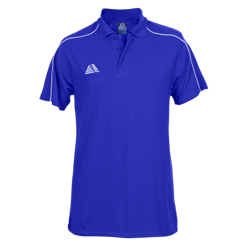 The Vecta Polo Shirts offer a relaxed fit and are made out of 65% polyester and 35% cotton. 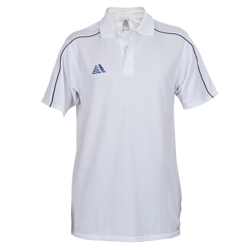 A combination of the polyester and cotton blend and the outstanding stitching methods used in the manufacturing process ensure that the garments are very durable and made to last. 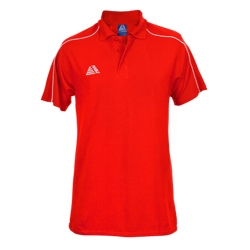 All the colours available use only industry leading colourfast fabric to ensure that colours are retained wash after wash and similarly, the shade matching standards are market leading so you can be sure that any future orders will be identical in colour. 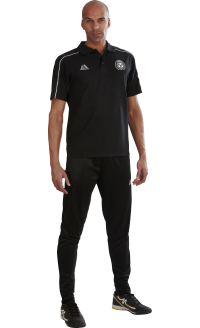 Colours available include Black/White, White/Black, Navy/White, Royal/White and Red/White and come in six sizes, ranging from Small Boys, suitable for 6-7 year olds, right through to Extra Large Adults. 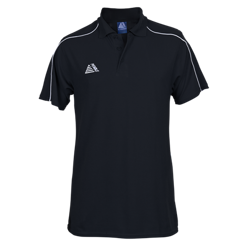 The design is fairly minimal with contrast colour piping on each shoulder and the Pendle logo is embroidered on the right chest as worn. 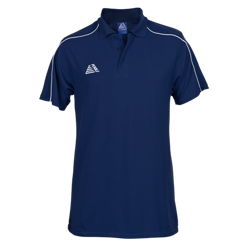 Vecta Polo Shirts can either be worn before or after a game or simply to train in. We recommend adding Atlanta Training Bottoms to complete the look!